Health care institutions such as the AAFP and the AMA and others have been urging medical practitioners and other health professionals to immunize their patients against influenza. 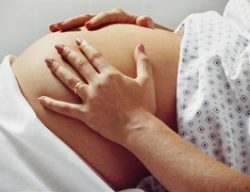 During pregnancy there are changes in the immune system, heart and lungs that make women more prone to complications. Flu can increase the risk of premature labor and delivery. Vaccination during pregnancy can offer protection to the mother and the baby until 6 months of age. Babies under 6 months of age are ten times likelier to be hospitalized than older babies. Severe illnesses in post partum women (new mothers) are also documented. Warning is also issued against H1N1 (swine flu) which is expected to continue to circulate this flu season. Women are urged that the vaccine is safe to take and will cause no harm to women or infants. Previous articleWhat To Eat During Pregnancy And What To Avoid? Next articleTwins With Different Dads, Is It Possible?